We have a client base extending over many years and our aim is to provide the very best product and service at all times. Our office is contactable at all times for customer support or information. Lubrication Solutions is not a manufacturer so we are not trapped into using one product. We supply the very best products available in the world. Use the latest technology and advancements in science to ensure our customers get absolute value for money. XSNano is not only the very best fuel treatment and lubricant essential to improve your fuel and oil quality, but it is the only product I know that costs you far less than it saves you. You are protecting your machinery and saving money! XSNano is the latest development in lubrication on the world market today and by far the best product we have ever seen. XSNANO fuel additive is a high-tech product that has combined such technologies as liquid phase nanotechnology and radiation chemical engineering, and is currently the world’s most advanced fuel additive and also the most efficient clean fuel additive. With a solid foundation in international scientific research and talents, the company has been constantly developing high-tech nanotechnology series products. Our company’s goal is to integrate the latest technology with business and civil use and is committed to protecting the environment and benefiting society. Effectively inhibits or eliminates carbon deposits in combustion chamber including the spark plug, fuel spray nozzle, gas inlet valve, gas exhaust valve etc. Effectively cleaning colloid and impurities in fuel system, so the fuel system will be cleaner. Less maintenance costs, extending engine’s life. It works well for new and old engines, in all fuels and in all climates and seasons. No engine modification is required. A contribution towards CO2 reduction… …all this while keeping the inside of the engine clean. 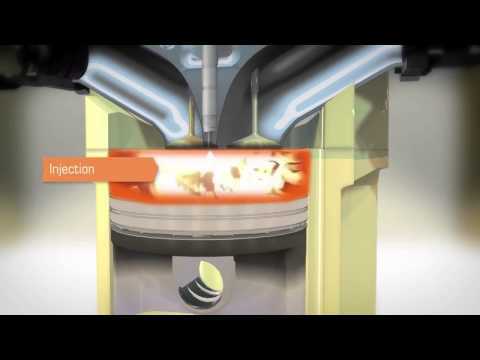 What does the lubrication additive do? XSNano NRL is added at a ratio of 1 part per 1,000 FOR ALL OILS. These can be engine, gearbox, auto transmissions, differentials, hydraulics (Any oil lubricant). We here at Lubrication Solutions P/L (registered trading name Bi-Tron Australia) have been providing customers with lubricants that not only protect and prolong the life of engines, but dramatically slash the amount of fuel used to run machinery for twenty five years now. And in July 2013, we released XSNano into Australia and New Zealand, and it is the latest development in lubrication on the world market today. We are not a “new” company but this is “new” technology. Lubrication Solutions P/L have been selling lubricants since 1994 with the trading name Bi-Tron Australia. Now there is an amazing breakthrough in science and “Nano” technology is far more advanced than the older molecular technology. Nano technology called XSNano when simply added to fuel and lubricants can now give a complete burn of all fuels, resulting in more power, better fuel economy and a massive reduction in emissions. No modifications to engine or fuel systems and works with all engines and fuel systems. It can clean carbon and colloid deposits from engines, it can kill diesel bug and clean fuel systems so they function correctly and more efficiently. It will lubricate and protect engines, gears and transmissions. It will virtually eliminate friction and wear and lower engine noise, so your engine oil will last longer as will your engine. The product using this new “Nano” technology is marketed using the name XSNano and is readily available. The treatment ratio is 1;10,000 for fuel and 1;1,000 for oil, so one litre will treat ten thousand litres of fuel, no need for massive drums and rotary pumps to use additives, simply add directly to bulk fuel and oil drums on delivery. The best thing is that unlike other older technology products that cost money and seldom worked, the XSNano definitely works and actually saves you money… a lot of it. The more fuel you use, the more money you save. There are trucks and road trains here in Australia getting more than 20% better fuel economy using XSNano, running cleaner and more efficiently with less mechanical problems. A few of the large companies we deal with here at Lubrication Solutions P/L expressed concerns about using the XSNano oil additive, because of deals, contracts or agreements they had set up with oil companies to use their products. Relax, don’t be alarmed, we are not asking anyone to change their brand of oil or alter their agreements with the oil companies at all. All you need to do is add a few drops (only 1 ml for every litre of oil and 10 ml for every litre of fuel) of XSNano to your machinery to improve your oils environment and get a complete burn of fuel. XSNano prevents metal friction and wear between moving parts. This reduces the degradation of your oil, but more importantly it reduces the friction and wear of your machinery. This in turn takes the load of your drive train. (Remember you can add this to all your drive train, so each section has the same results). The results will be immediate. Engines will run smoother, quieter and cooler. Fuel consumption will be reduced as the load has now been reduced from the drive train. And the life of your oil (and your machinery) extended. And this is why you should be adding XSNano to all your trucks, cars, boats, planes, generators, pumps, compressors in fact all machinery to reduce friction and wear. There is no piece of equipment that cannot benefit from using XSNano. XSNano is also available for fuel and should be used in conjunction with the XSNano oil additive for best results. •Protects the engine and fuel system from oxidation and corrosion. Contact us today for more information and bulk pricing. Most people focus on the fact that XSNano saves money by reducing their fuel consumption. Well, that is just a bonus. What they should be focusing on is just how XSNano saves you that money. We market XSNano as a “Fuel Saver” to grab your attention. Sure it saves fuel (and does it well) but it is what XSNano does to save that fuel that counts the most. XSNano (through new Nano technology) provides a complete burn of the fuel you use (petrol or diesel), reduces the build up of carbon and NOx gasses in engines, protects the engine and fuel system from oxidation and corrosion, increases octane and cetane in fuel, improves fuel quality and lubricates engines and fuel systems so they operate at premium efficiency and power.